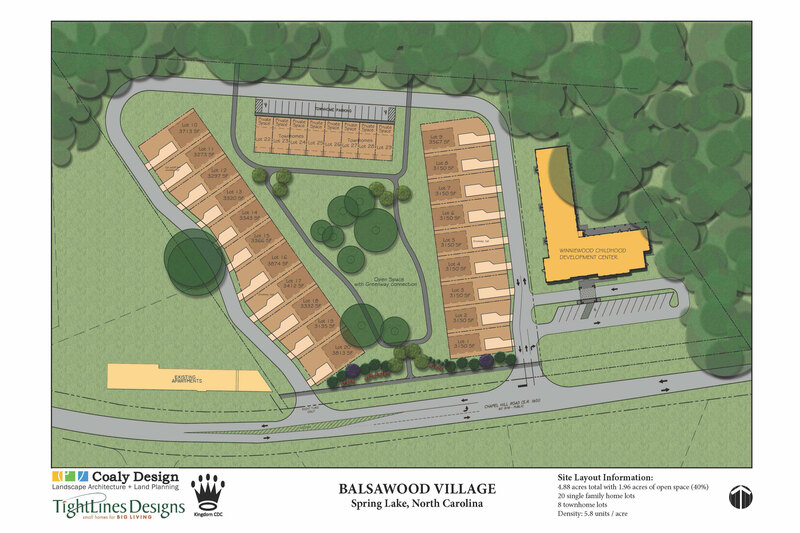 Located on Chapel Hill Road in Spring Lake, North Carolina, Balsawood is a 4.88 acre site that was formerly used as a mobile home park. 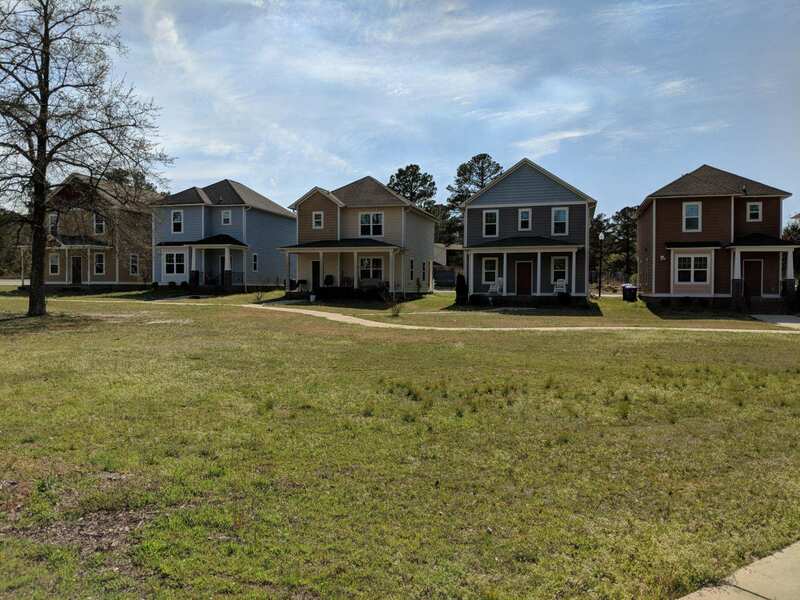 In collaboration with the Town of Spring Lake and Kingdom CDC, TightLines and Coaly Design have been working to develop a vision, plan, design and construction documents for a conservation-basedaffordable housing development. The project, which is still in the planning stage, is significant for a number of reasons. The project represents the first North Carolina project to follow the 2008 Enterprise Green Communities Criteria. 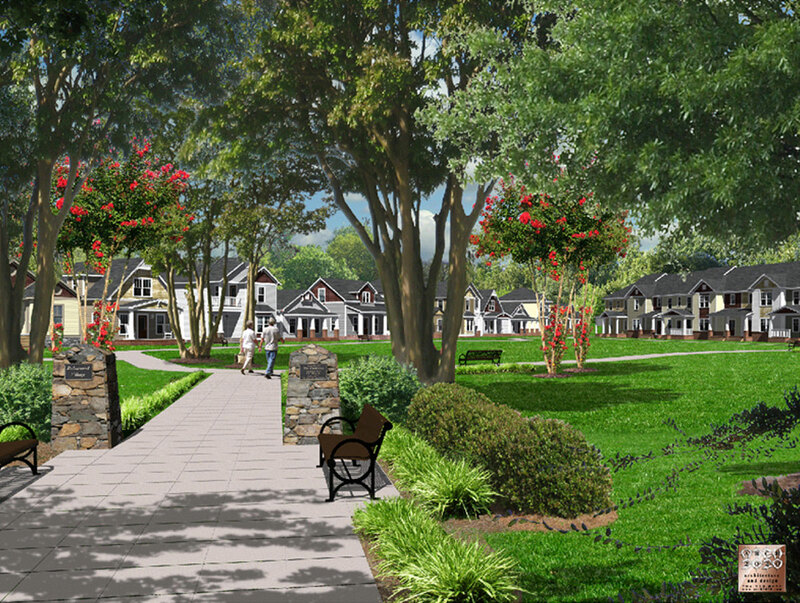 The ultimate goal for Balsawood is to create an affordable and sustainable neighborhood that will promote community interaction. 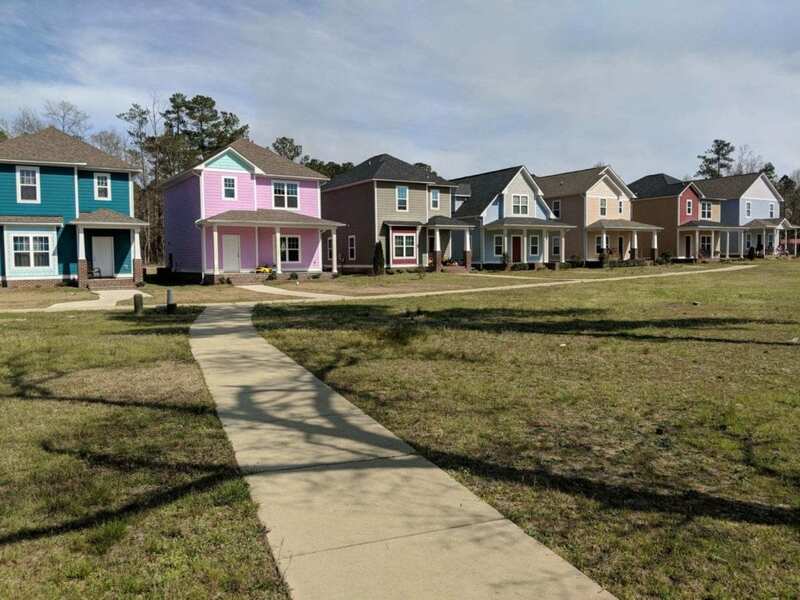 In 2009, TightLines and Coaly Design participated in a two-day Design Charrette to determine critical neighborhood elements including the character of the development and appropriate home designs for the pocket community. Attendees included local politicians, Town staff, residents of the existing mobile park, neighbors , and local business owners. As a result of the charrette, it was determined Balsawood should feature a variety of unit types (28 lots total)– including one and two-story single-family homes and townhouses to allow for a diverse group of homeownership opportunities. Homes will be easily adapted for passive solar measures and the design selections will create diversity for a natural market selection, while maintaining a consistency in style and detail to create a cohesive community.The homes will be centered on a community green space with central greenway connecting to a 100-acre future park for the Town of Spring Lake. The site layout and thoughtful land planning allows for the conservation of 40% of the site for open space and innovative stormwater management controls.